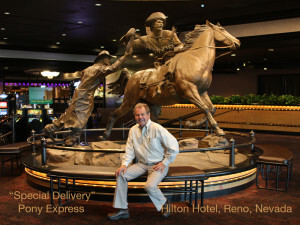 What else but the famed Pony Express! 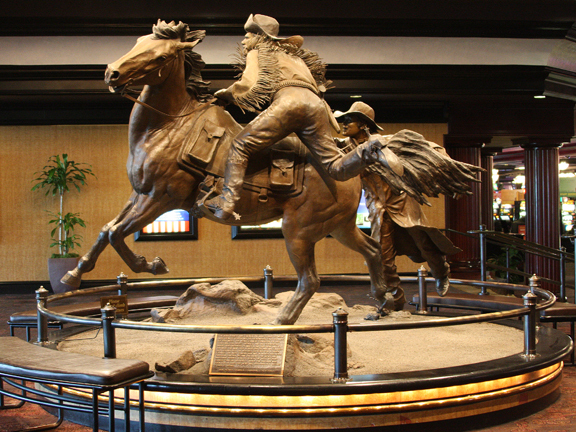 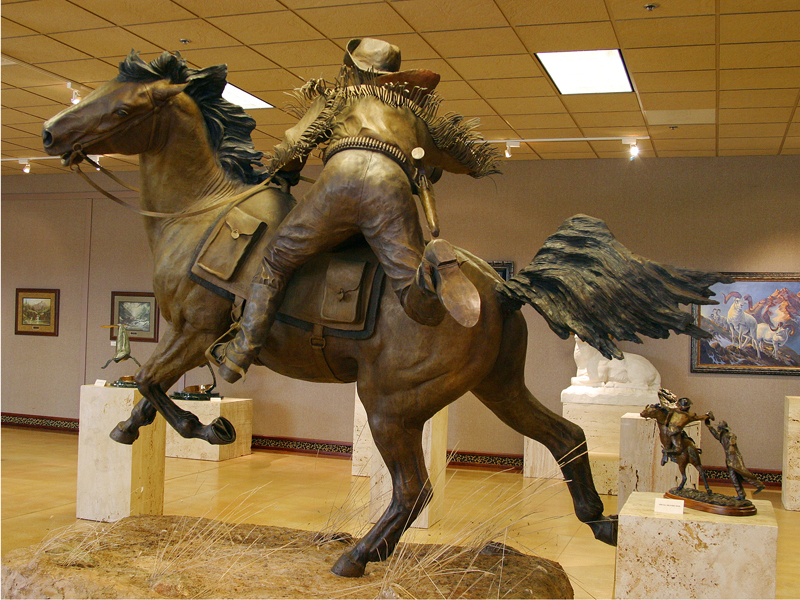 This bronze Pony Express Monument captures the history of the memorable Pony Express ride carrying the news of President Abraham Lincoln’s election. 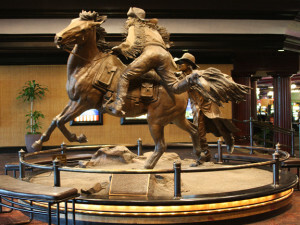 The ride began in St. Joseph, Missouri, ending in Sacramento, California, the fastest ride in the history of the Pony Express.